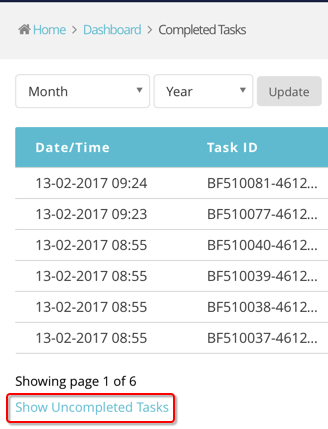 How to view pending and completed tasks using the Dashboard in Connect. The Tasks tab on the Dashboard shows a list of provisioning tasks that Connect has to complete such as client conversions or decommissions. The status of tasks appears on the right hand side. Status can be ‘Pending’ or ‘In progress’, by clicking the More button you can chose to refine the list to show only tasks with one of these statuses.